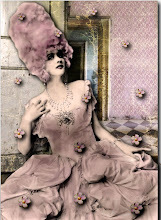 Medusa: AIMEE MOORE: DOES ALL THE MEDIA ATTENTION GLORIFY ANOREXIA & BULIMIA? Following the news yesterday that Aimee Moore had been admitted to Credit Valley Hospital in Mississauga, Ontario, for tube feeding, the following article appeared in the Globe and Mail. Glorifying illness - or helping out? It is a private moment played out in bedrooms each day: a young woman standing in the mirror, checking herself out. Except in this case, the reflection was of a skeletal 60-pound woman named Aimee Moore, poking the spots on her concave stomach where she wanted to lose weight. And instead of being private, those images were broadcast to the world. This week, less than five months after appearing on the Dr. Phil show, the 28-year-old Stratford, Ont., woman who suffers from anorexia and bulimia was admitted to a Mississauga hospital where she will be fed through a tube and treated to heal her damaged digestive system - an update that has already been published in several Ontario newspapers. Like others who have suffered from an eating disorder, Ms. Moore has sought media exposure in a bid to find the help she desperately needs and steer others away from the illness that has consumed her life for 16 years. "She and her mother are working to try and help other people," her father, Dave Moore, said yesterday from his home in Stratford. But some experts say that that exposure, in some cases, can be a catalyst for the disease - and holding a mirror up to the horror may do more to perpetuate the illness than prevent it. "I don't see the advantage for the patient," says Hany Bissada, director of Ottawa's Regional Centre for the Treatment of Eating Disorders. "Television [thrives on] shock effect. That's good for Dr. Phil. But it doesn't do anything for the patient. 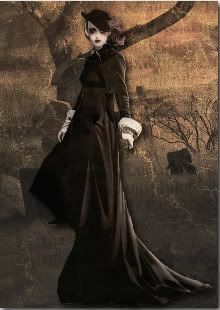 In some twisted way, it glorifies her illness." 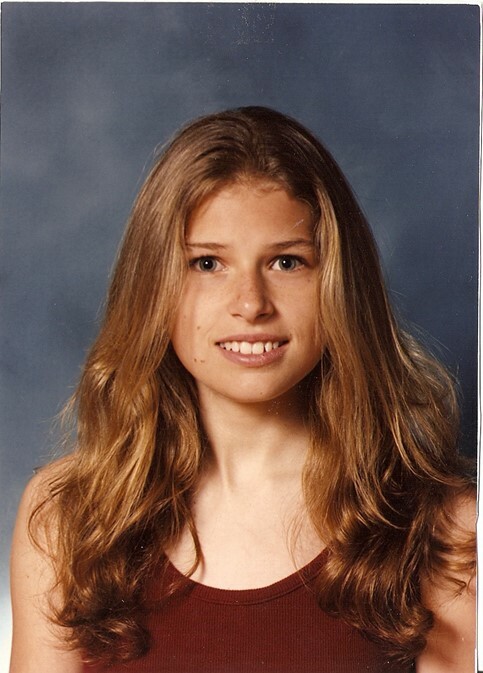 Ms. Moore was 14 the first time she was hospitalized for her eating disorder. By 18, her story became public after her mother, Pat Moore, who had founded an eating disorder support group, shared their struggle at a public forum. Ms. Moore later told a Kitchener-Waterloo Record reporter: "I feel a lot more free now." 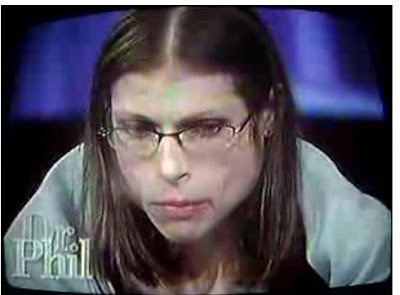 But on Feb. 25, Ms. Moore appeared on Dr. Phil weighing 60 pounds. She described herself as fat, evil and hopeless. Cameras filmed her vomiting into a garbage can, then gulping down food in the middle of the night. She described how she would eat vomit to induce gagging. Ms. Moore had reached out to the show, not the other way around. "If I don't get help soon I don't think I'm going to survive," Ms. Moore wrote in an e-mail to a producer. She had tried several other treatment clinics in Ontario and the United States without success. Since the show aired, Ms. Moore's progress has been chronicled in several front-page stories in the Kitchener-Waterloo Record. 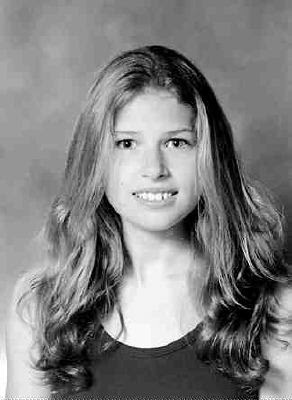 Some outlined the intimate details of her life: the diagnoses of mental illness, the hasty marriage that failed, the childhood abuse by a stranger, which her mother said led to her daughter's eating disorder. Mr. Moore said he didn't find the show sensational. "It's what goes on," he said. "I have to live with it all the time." Anne Elliott, program director of Sheena's Place, a Toronto eating disorder clinic, says in some cases, media exposure can raise awareness and encourage people who are struggling to seek help. But after viewing a clip from the Dr. Phil show, she said people may take the wrong message because Ms. Moore's case is so extreme. "I'd be worried that people would see that and say, 'Well, I don't look like that so I don't have a disorder,' " she said. Without the root causes of eating disorders being shown, she added, people may adopt a "blame the victim" attitude. "She's suffering from a serious illness... ," Ms. Elliott said. "I would worry that people would see her and say, 'Well, she just needs to eat.' It is about eating, but it's not that simple," Ms. Elliott said. Dr. Bissada, a psychiatrist, said that those with eating disorders may be afraid that if they get better, they'll be forgotten by relatives and friends. In some cases, Dr. Bissada said, media exposure can fuel that desperate need for attention. In others, they are seeking treatment, which can be a positive outcome. 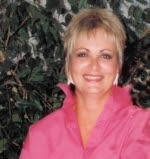 In April, Ms. Moore returned to Ontario after seven weeks at Magnolia Creek, an Alabama treatment centre where she'd been treated free of charge since appearing on the Dr. Phil show. She needed medical help because she now has a stomach condition that makes it extremely painful to take in food. Ms. Moore will likely be at Credit Valley Hospital in Mississauga for at least a month, Mr. Moore said. His wife has rented a place nearby and plans to visit every day. Once Ms. Moore's stomach improves, she has been invited to return to the Alabama clinic for free treatment. "She wants to go back there," Mr. Moore said. "But she has to get herself stabilized and functioning again." Does media attention raise awareness and help prevent eating disorders or glorify and perpetuate them? I think in lots of cases the media attention on eating disorders glrofies them. It's always about the shock factor - it's always emaciated anorexics in the stories, never normal/overweight bulimics or compulsive overeaters. As a person with an eating disorder seeing Aimee doesn't make me more likely to get help - i look at her and see that my life is so much better, and therefore in some ways i'm not deserving of treatment - i'm not that sick and i'm not gonna die of my illness. 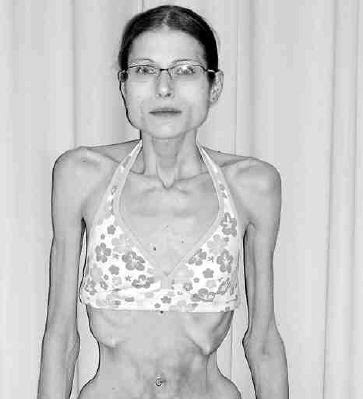 The main thing about cases like Aimee is now people all over the world know her as "the anorexic", and as soon as she recovers even a little bit she's going to be losing her identity and the attention and interest in her life. That's a big problem for all people recovering from EDs - trying to find something to replace them with - a new identity, new interests, new ways of spending their time. But for Aimee it's gonna be a hell of a lot worse. Josie, thanks so much for taking the time to comment. By blogging about EDs am I glorifying them? I have wrestled with this for a long time. Thank you so much for posting this blog. I was searching for pro ana websites, because I was considering that lifestyle, when I came across your site. It made me realize how dangerous anorexia and bulimia really can be. You are truly making a positive difference in the world, and you have probably saved many, many lives through this blog. May 23, 2008 2:35 AM"
I agree that Aimee has a very difficult road ahead of her...once the media attention dies down, what then? Again, many thanks, Josie, for your comments. I read this article this morning. I'm not sure what the right answer is to this, I only have my opinion. I think information is crucial,that being educated about something is extremely important. Not only for those with EDs but for everyone. I agree that the media sometimes glorifies eating disorders. In my opinion educating is different than sensationalizing. You're educating with your blogging and you've helped, Medusa. The comments you've received prove that. I see what you're saying, Josie. It's sad that an ED becomes an identity when there's so much more to who we are. I wish it were different. Hopefully, Aimee will learn in recovery that who she is, is not defined by her ED and the lack of attention brought on by her battle will not be an issue. MrsM, thank you so much for your very astute comments and kind words. And for those who have not read MrsMenopausal's blog, Weighing the Facts, please click on the link in her comment. Her well-respected blog is full of excellent resource information on eating disorders, body image, etc. 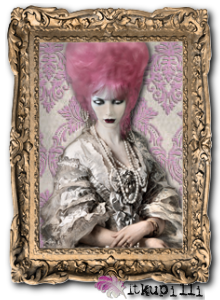 medusa - as MrsM says, your blog is more educational than sensational - your aim is to educate and discuss as opposed to being a freakshow on paper which people are buying into (as is the case of magazines!). That anonymous comment highlights the importance of the effect the media has in the portrayal of eating disorders - if they weren't glamorised and sensationalised, the 'pro-ana lifestyle' wouldn't be such a big deal. Pro-ana will always exist online for as long as there's anorexics online (because pro-ana is a reflection of how it feels to have the illness in the early stages - how the mind skews itself to make it seem like the behaviour is justified and okay), but i can see pro-ana as being something that 'normal' healthy people should stay well away from, before it's too late! It's that fine line between education and sensationalism that has always concerned me and I try to be ever conscious of stepping over that line. Again, many thanks for your comments. I truly appreciate hearing your perspective on eating disorders and pro-ana. I know my granddaughter's condition deteriorated drastically before we had an inkling of the problem. She had well-developed digestive problems, as well as racing heart and other grim indicators, before we started getting answers. Some, we didn't like. (It's all in her head - that makes her stomach hurt that much? Noooo.) To the best of our knowledge, she never visited or read pro-ana sites. Now that it's out in the open, she doesn't feel so isolated and is recovering slowly, very slowly. Medusa, your site has alternately horrified me and given me hope. KUTGW. With the love and support of your family, I am confident your granddaughter will recover. She has made such amazing progress to date, and I'm sure that now that her illness is out in the open, she will continue to make slow but steady progress in regaining her health. Yes, coming from someone with an eating disorder. As do your posts about glamourous models and beautiful women killing themselves. You don't realise that you're doing it but by making those posts, with things like "how many more models have to die", you're perpetrating the myth that the life of someone visually beautiful means more than that of someone not. "As do your posts about glamourous models and beautiful women killing themselves. You don't realise that you're doing it but by making those posts, with things like "how many more models have to die", you're perpetrating the myth that the life of someone visually beautiful means more than that of someone not." Seaneen, thank you for your comment. It is certainly not my intention to convey that "the life of someone visually beautiful means more than that of someone not." From my perspective, those blog posts show that even those who are "visually beautiful," who seemingly have a much easier time making their way through life because of their looks, can also be wracked with self-doubt, eating disorders, depression, suicidal thoughts, etc. I, in no way, mean to diminish the lives of those who are not thought of as being "visually beautiful." My blog posts focus not only on the beautiful. Eating disorders are not selective...they strike both the beautiful and those who may be considered by others to not be beautiful. Again, thanks, Seaneen, for taking the time to comment. I really appreciate hearing your perspective and opinions. Of course not! If it wasn't for you and your blog, I probably would binge and vomit today, as I did regularly for about 10 years now (and almost everyday for about 3 years). I came across your site on July 1, 2009, following a link (from antyproana.blox.pl) to "bulimia kills" post. Of course I always knew that I am bulimic, I actually pushed myself into it deliberately when I was 15 and a little depressed (and slightly overweight), which is quite common for growing up fase. I don't really know how could I be stupid enough to think, that becoming bulimic would give me "the advantage of having a problem that I would be able to define instead of this annoying feeling of saddness for no particular reason", but that's exactly what I thought. I wanted an identity, an easy answer to my uncertainty, and I considered losing weight as a bonus effect. Of course, I thought I could always stop. Then it came to me, that it is not that easy to stop binge eating and then feeling guilty and purging, that it is actually impossible to stop, that I have no controll whatsoever. And then I convinced myself, that I'm not like the other bulimics, I'm not going to face the consequences, my face doesn't look swollen, my teeth are quite okay, I drink a lot of water to avoid dehydration - and all that kind of unbelievably stupid stuff. It took me 30 seconds to decide that I am stopping this madness immediately. I didn't want to push myself too far, so I set a limit - I am going to try to avoid bingeing, and even if I binge - I won't vomit, to the end of July. Just for start. Because I wanted the goal to be realistic. And that was my present for my 25th birthday (July 4) - what I gave myself was the comforting feeling, of actually going to grow up, stop being a total idiot and start taking care of myself. 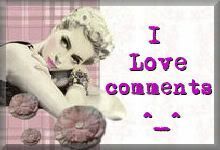 God knows what could've happened if i didn't read your post. P.S. Are you familiar with the concept of normal eating (www.normaleating.com)? It has been a huge help to me in case of binge-eating for the last 31 days, because it gave me the tools to start recovering from compulsive eating, by realising the problem and approaching it. Thanks so much for your comment. I am thrilled you are now on the road to recovery! That first step is hard, but you did it. I hadn't heard of normaleating.com. I will definitely check it out. Thanks for the link. And thank you SO much for your kind words I appreciate them so much. Sending positive, healing thoughts your way. I don´t know whether the positive or the negative effects of all those media attention have more weight. It depends who watch this and I hope it´s more eye opening than gloryfying. However, if someone with an ED really thinks it could help him/her to make the own story public then they should have the possibility to. It´s on us to see the truth behind anorexia/bulimia ecc. Anybody who thinks not to deserve help because she/he maybe is much healthier: It´s not on you to deserve(!) help. You NEED it. That´s all. All that´s important then. 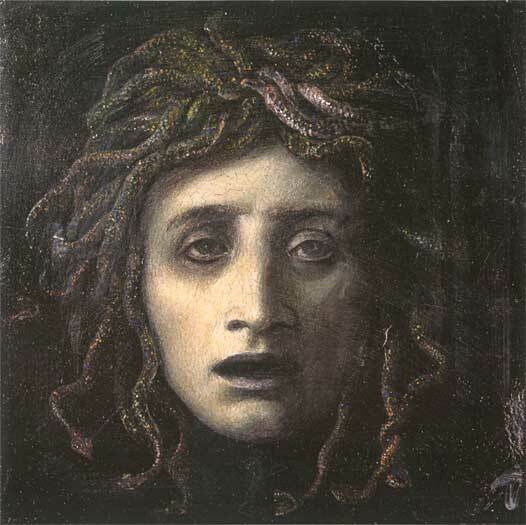 2Medusa whenever I'm in need for a reality check because like many ED sufferers, I still have the idealised image of my ED behaviors in my head, most of which occured in the very early stages of deleloping my ED. Which were false senses of happiness & control anyway. Thank you so much for your comments. I appreciate them so much. I agree with Seaneen. I'm a person with food issues, anorexia and bulimia. I have been in and out of rehabs most of my life, at least 35 years wasted on this disease. Almost 100% of the time the girls in rehab have never heard of Pro Ana or Pro Mia. People like us with ED usually suffer in silence (not the attention seeking behavior that the girls who frequent "pro ED" sites have). You can bash me for this comment all you want but I'm speaking the truth. In these rehabs they do not let you on the internet. I have never been in one that let woman surf the web, so if anyone says they are in rehab and they are playing on Facebook at the same time, they are most likely seeking attention, I've met quite a few of those girls. Show me a rehab they lets ED patients on the web and I'll give you a million dollars and most real ED suffers don't wear it on their sleeves like a badge or something. Most of the girls on youtube sporting ED video's might be too thin but not really on the brink of death but yeah when I was in my worst near death weight of 71 pounds, I frequented YOUR blog all day. I came here for my best tricks and to just look at the photos all day. You are a terrific woman with a huge heart and I know you mean well but this blog is an anorexics playground. It's tricky, but I think that sometimes ignorance is the best protection against these kids of problem. I developed bulimia as a teenager after reading a book about a bulimic. I wanted to loose weight and it seemed like a good idea. Thankfully about 2 years later I got a job in Yellowstone, and being in nature healed my soul to the point where I recovered from bulimia permanently with no relapse for over 15 year. I thank God for that.